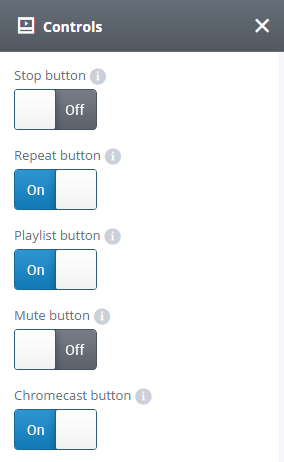 Max Size of the Widget – The audio player is fully responsive and by default will automatically fill the max width of container where embedded. 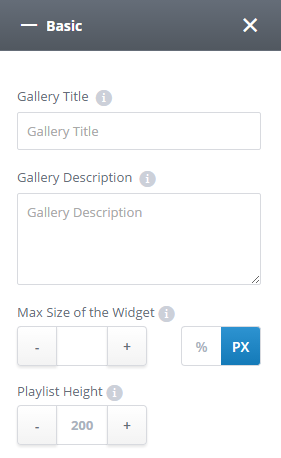 Use this field if you want to override the default and define your own player width. 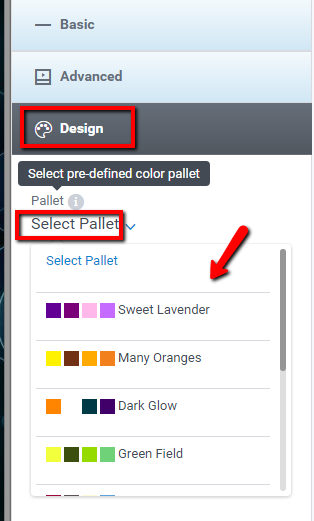 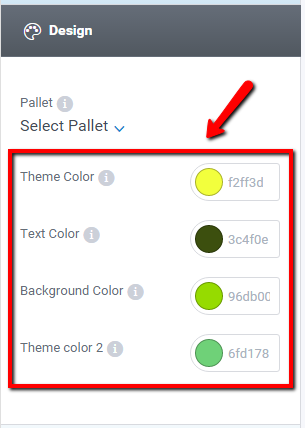 Click on ‘Design‘ tab to open pallet editor and select pre-defined color pallets from the drop-down menu, or choose your own color scheme to perfectly match your website design.